Yesterday was Thing 2’s birthday party — not her birthday itself, which is unluckily squished in between Christmas and New Year’s, but her party. With all of the other affairs going on that time of year, her celebration with friends gets pushed back to the late winter or early spring. As a family we make a big fuss of her on her actual birthday, but this way she gets to pick the date of her party for a time when she can feel special in her own right, and not just “squeezed in”. So the plan this year, as per her request, was to make confetti cupcakes, the ones with multicoloured sprinkles mixed directly into the batter. I found the Homemade Funfetti Cake recipe on Sally’s Baking Addiction, which called for a lot of sprinkles. 2/3 of a cup of sprinkles — and I doubled the recipe. 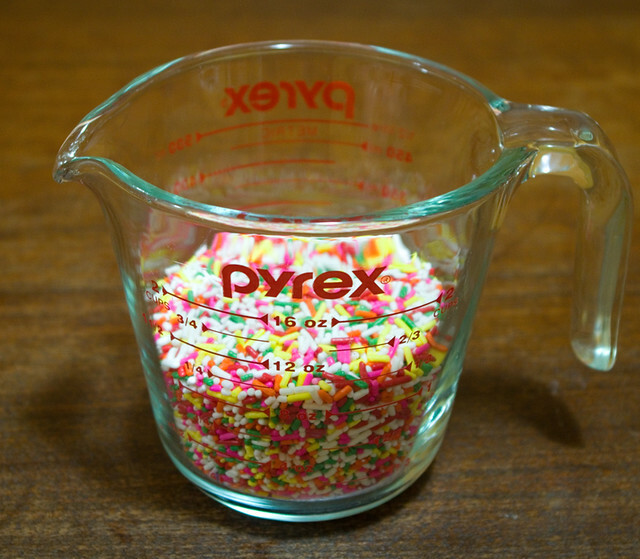 I basically emptied out all the multicoloured sprinkles in my stash into one measuring cup. 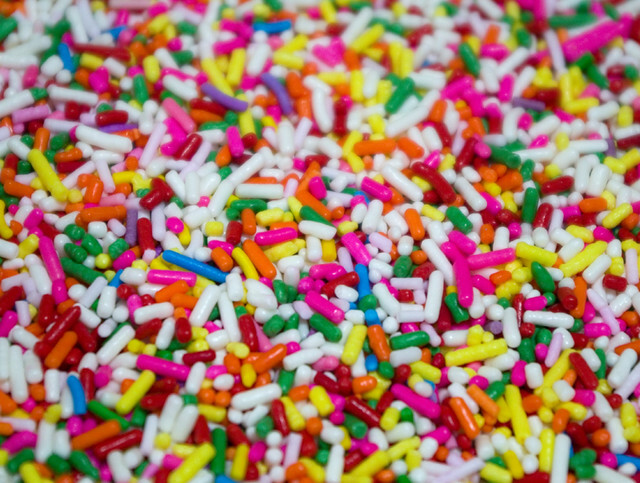 So many sprinkles! Perfect, I thought, for what Thing 2 wanted. Sadly, it didn’t work out. It’s hard to tell from this picture since by this point the cupcakes were all piled on top of each other after they were cooled, but almost all of the cupcakes stuck to the muffin pans and left huge chunks of themselves behind. And yes, I used non-stick muffin pans and sprayed them with cooking spray. 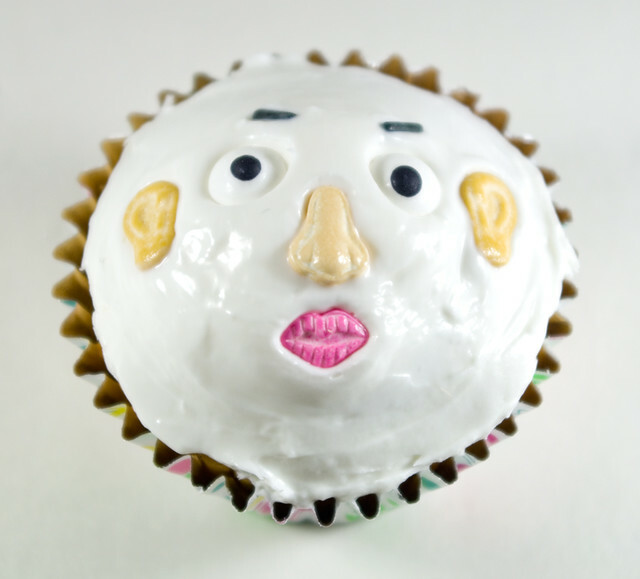 Those few cupcakes that didn’t joined their broken brethren in falling apart ended up slowly deflating and collapsing, as Eddie Izzard would put it, “like a flan in a cupboard”. They all just… Fell. They were too soft and refused to hold their shape. When the first pan came out like this, I thought perhaps they weren’t cooked the whole way through, but upon testing they were definitely done. They even tasted good! I baked the second pan for a few minutes longer than the first, thinking perhaps it was a problem with my oven. But I checked the internal temperature with a secondary thermometer, and it was spot-on. Either I messed up somewhere (did I forget an ingredient or something? ), or there’s something up with the recipe. Perhaps there are just too many sprinkles? They’re structurally sound when cold, but when they melt, they’re sugary mush. 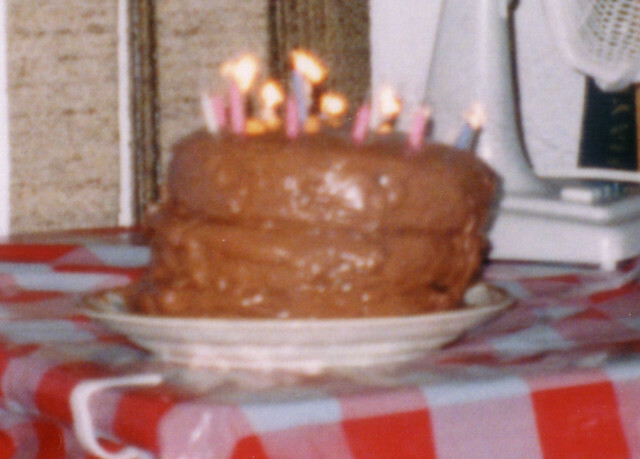 At this point it was 11:00pm the night before the party, and I was something on par with the Great Cake Disaster of my 16th birthday (pictured above). In retrospect, that one was caused by not levelling my cakes. The weather was also too hot (30°C or so) and humid (and us with no air conditioning) for the chocolate buttercream frosting to keep the cake from sliding over. My friends referred to it as the “Leaning Tower of Poo”. At least the flavour was okay. 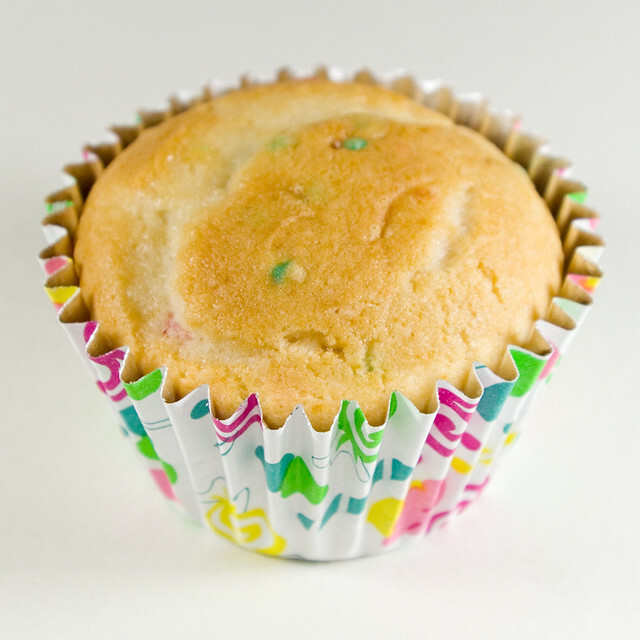 I ran out to the only 24-hour grocery store around here and grabbed myself a box of Duncan Hines Confetti White Cupcake Mix, along with a package of Reynolds StayBrite Easy Release Baking Cups. No way was my second batch of cupcakes going to fail! And I needed to get some sleep before party day. As promised by the packaging, the Confetti Cups went off without a hitch. 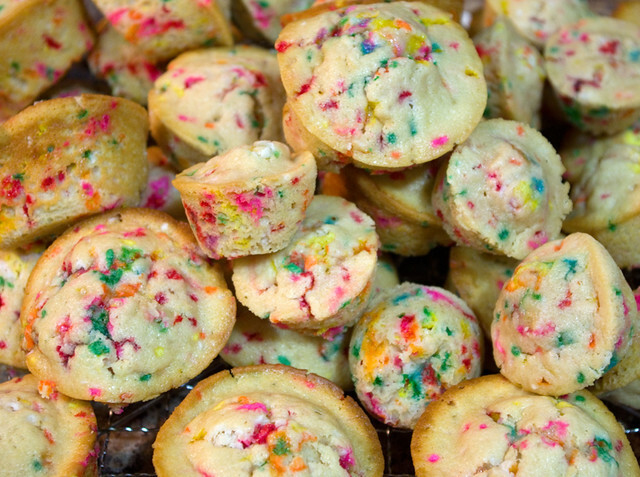 They released easily from the baking cups, they didn’t fall, and they were done in record time. I also made them with the “lower fat recipe” on the back of the box, which didn’t seem to affect the cupcakes at all, except nutritionally. 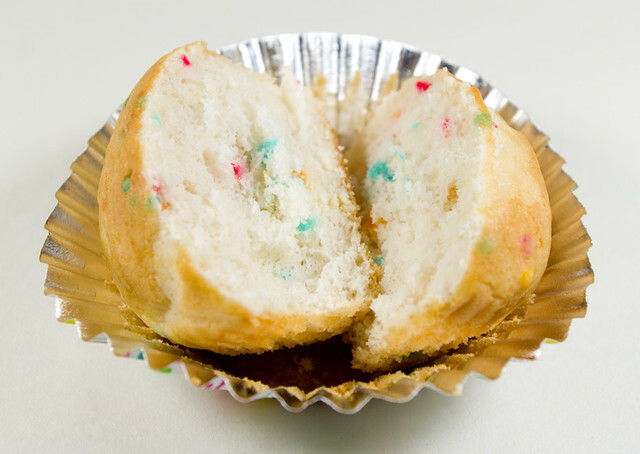 Taste-wise, the Homemade Funfetti Cupcakes were definitely better (quite yummy, actually), since the Confetti Cups had that boxed-cake-mix tang. But I needed and end product that would hold up structurally. A couple of weeks ago I picked up some little kits from the grocery store to add to our stash assortment of cake decorations. 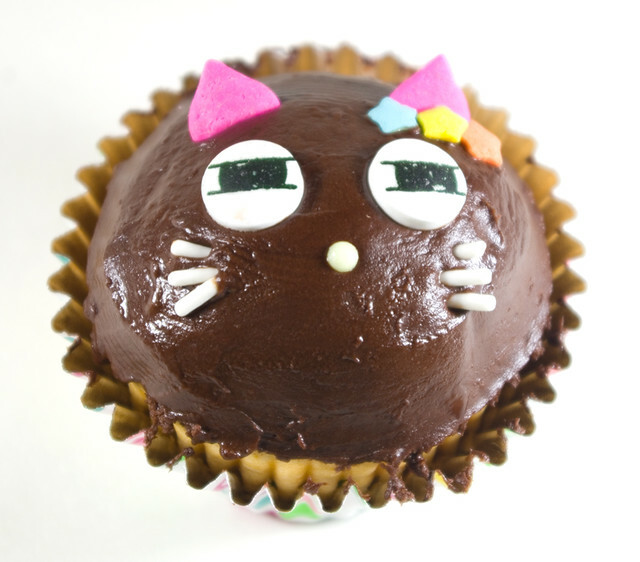 The cupcake above was decorated mostly with the Twinkle Baker Décor Deco Bonbon Little Kittens set. For the kids who aren’t interested in cutesy stuff, I also picked up the Twinkle Baker Decor Deco Bonbons Friends kit. Given the age of the kids at the party, I have no idea why I assumed that they would decorate their cupcakes more-or-less the same way as on the packaging. I should know better by now. The creature above was one of my favourite of the guests’ creations. She showed it off to me, and then promptly ate its face off. 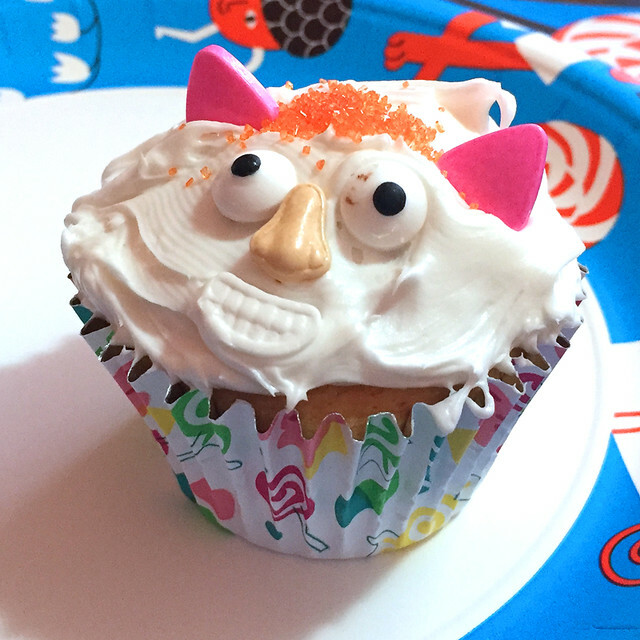 And this last one was Thing 2’s cupcake. You can usually tell which one is hers by the incorporation of Halloween-y elements. Like mother, like daughter, I guess. 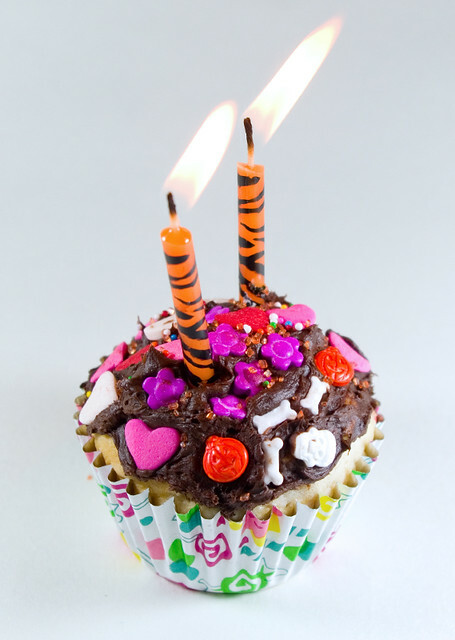 So happy birthday (party) to my beloved Thing 2! I hope you take away fond memories of this day, and that the rest of your year is fabulous. Posted on April 10, 2017 April 10, 2017 by owntwohandsblogPosted in CookingTagged baking, cupcakes, dessert, food, kids.